The Spa Sunset is a model with 6 seating positions, so it fits 6 people; but with 4 people it is truly sensational: one seat in each corner allows ultimate well-being, with lots of space, making it easy to move around its different depths and inclinations. 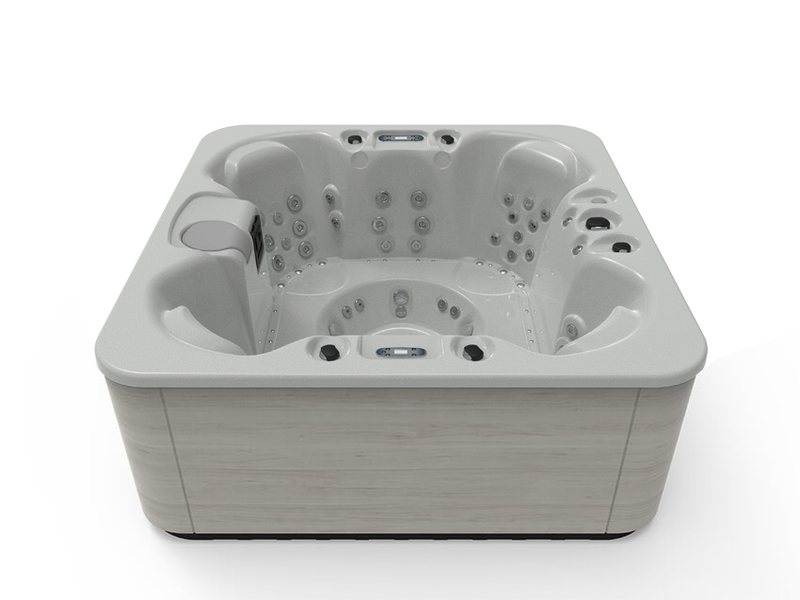 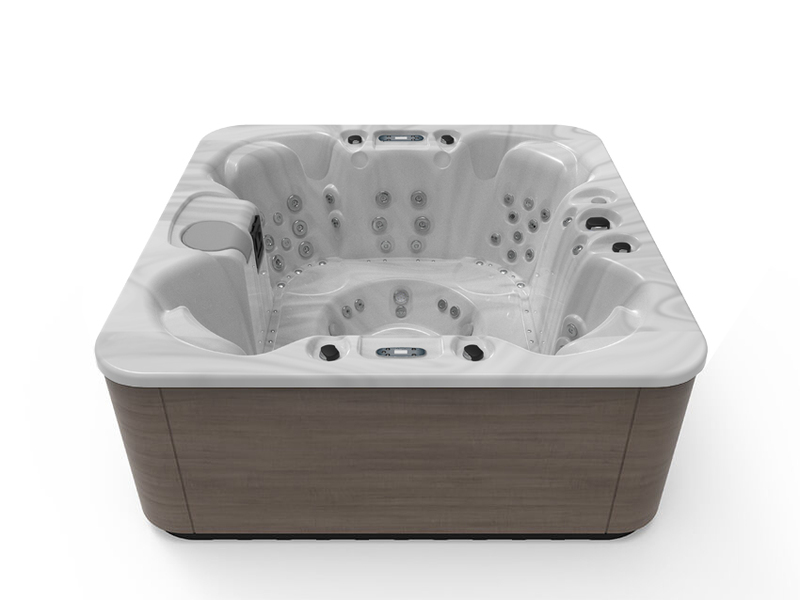 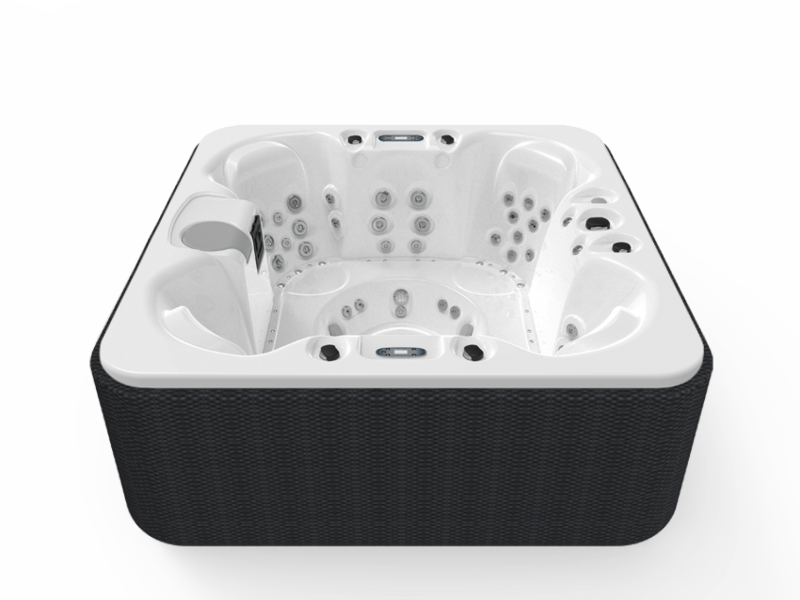 Buying a hot tub with a round shape means choosing an interior where it is easy to move around the various positions, with their different layouts of jets and nozzles offering different types of massages for different situations and needs. The Sunset is one of the most powerful and well-equipped Aquavia Spa models. 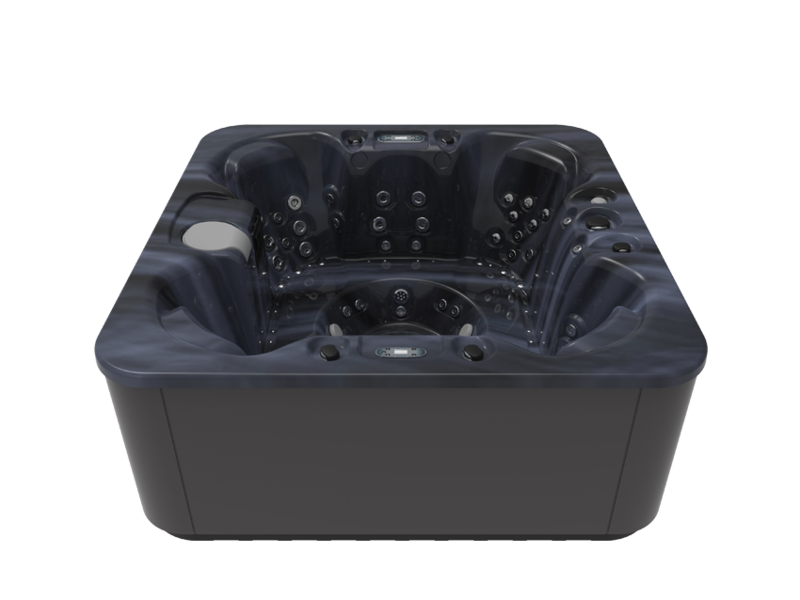 Its two massage pumps (3 CV of power), in addition to the hot air injection pump and the silent filtration pump, guarantee massage quality even with all 6 seats in operation. 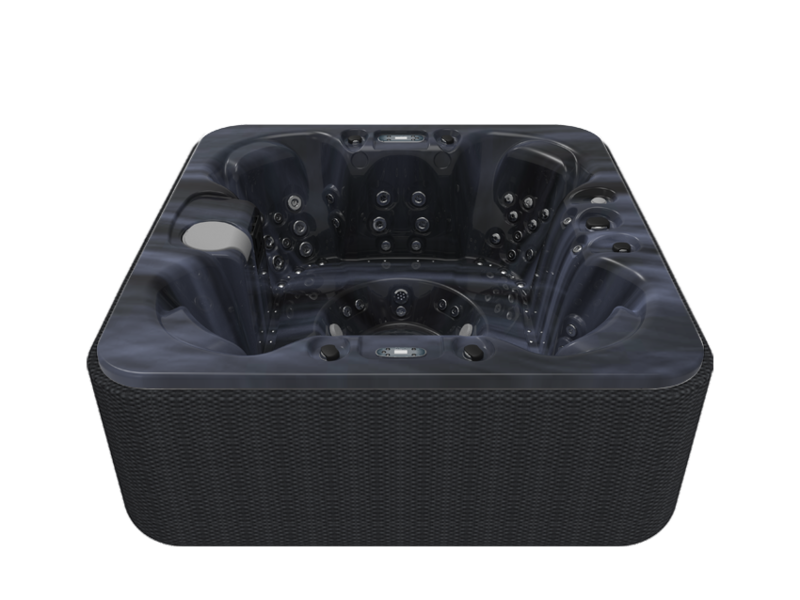 Similarly, the professional Flexible Massage system (optional for one of the seats) provides a progressive massage with 10 programmes that use different massage sequences to imitate the hands of a masseuse. 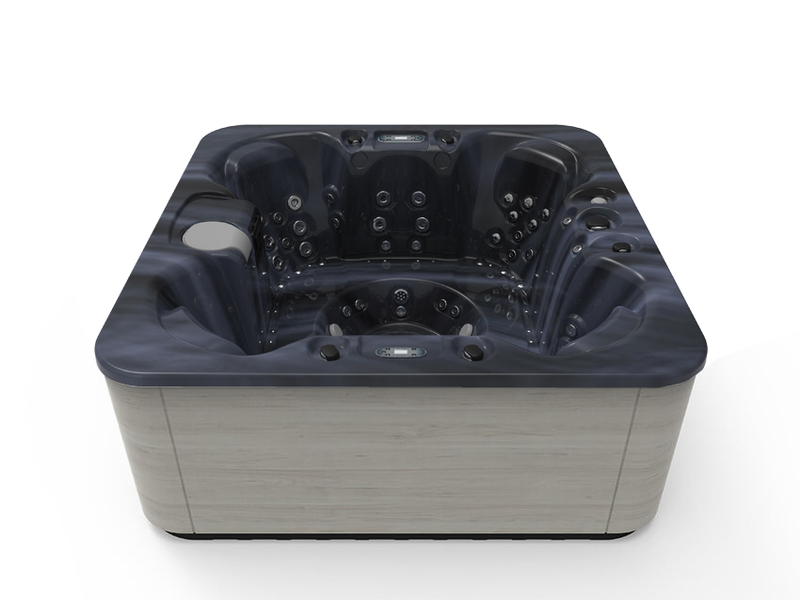 It is a hydromassage tub with excellent features and finishes: 66 hydrotherapy jets, 12 hot air jets with the exclusive Relax Impact System, all in stainless steel and with colourful lighting around all of the control buttons. While you are receiving your massage in the Spa Sunset, the water stays absolutely crystal clear and clean thanks to the massage-compatible filter (separate pump, Silent Pump system, ultra-efficient High Performance Water Care filtration system, and disinfection using an ultraviolet light (Ultraviolet Treatment from Aquavia Spa). 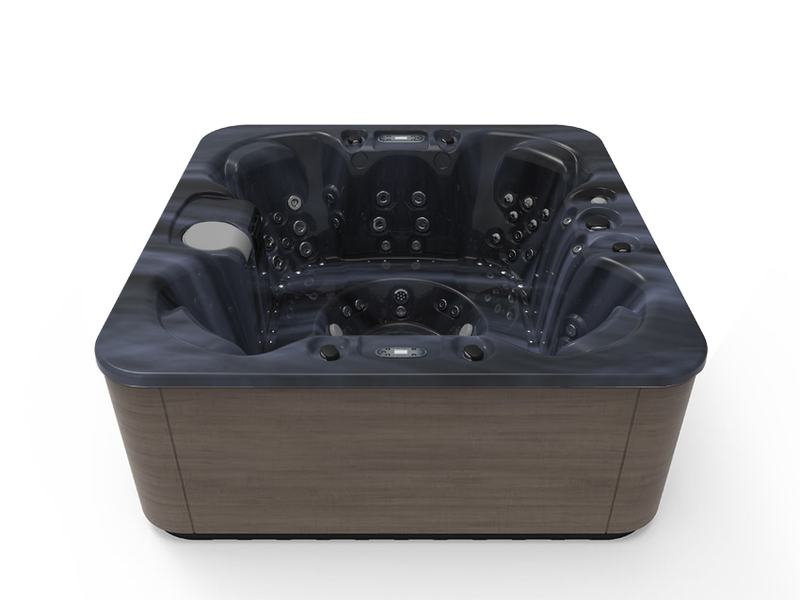 It will be a true pleasure to share the experience with others, and you will be proud to show off your high performance hot tub, featuring a modern design and great ergonomics. The Sunset is the perfect hot tub to while away the time in at atmosphere of total relaxation and well-being. 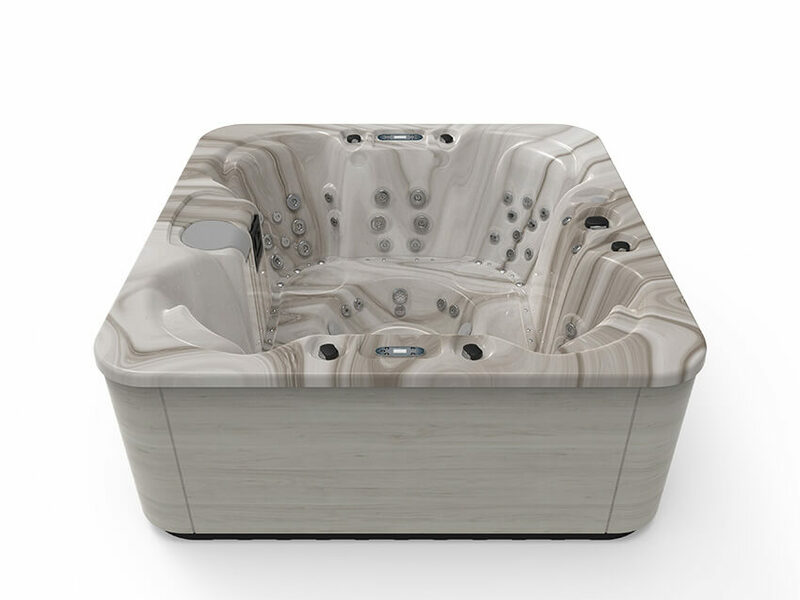 It is fantastic for chatting and sharing good conversation with friends, for welcoming guests and deepening social relationships through the intimacy of this magical moment of relaxation. 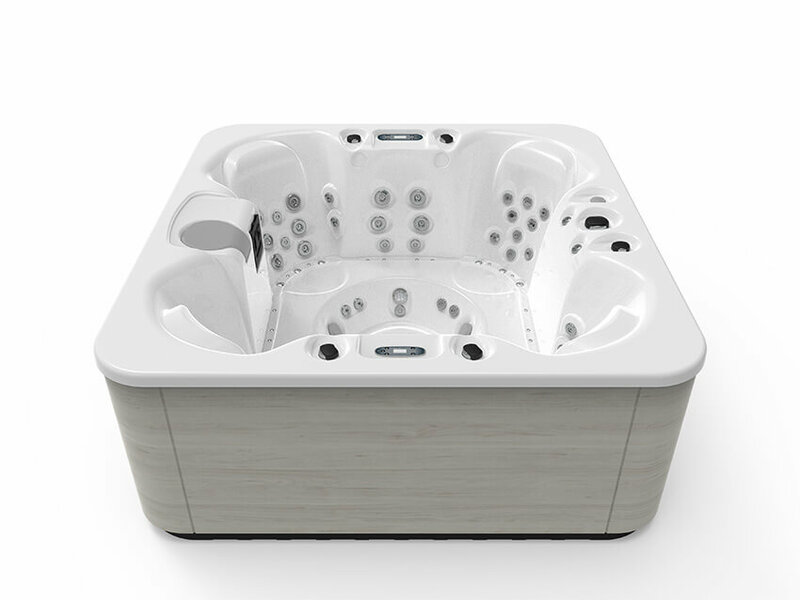 When the sun goes down, the atmosphere intensifies thanks to the colourful lighting (Colour Sense) and the decorative LED lights that enhance the cabinet (Pure Line Lighting) . The Woodermax exterior design (continuous cabinet with no visible screws made from high-pressure laminated material) stands up to any bad weather conditions, which is why the Spa Sunset is perfect for either indoor or outdoor use. The outer bar on the front of the cabinet is a great place to hang your towel and also facilitates access for any maintenance work. 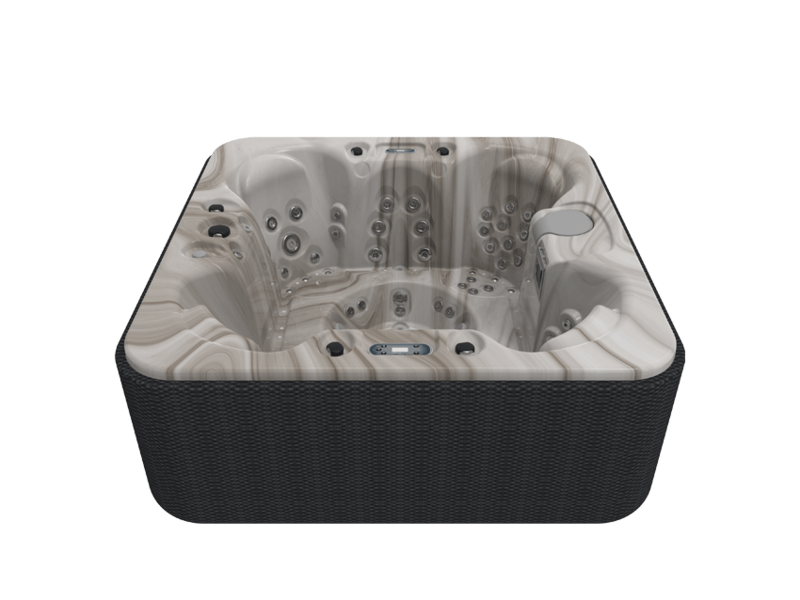 Like all of the hot tubs in the Premium range, the Spa Sunset can be supplemented by adding any of the Aquavia Spa optional features for energy efficiency or aesthetics. 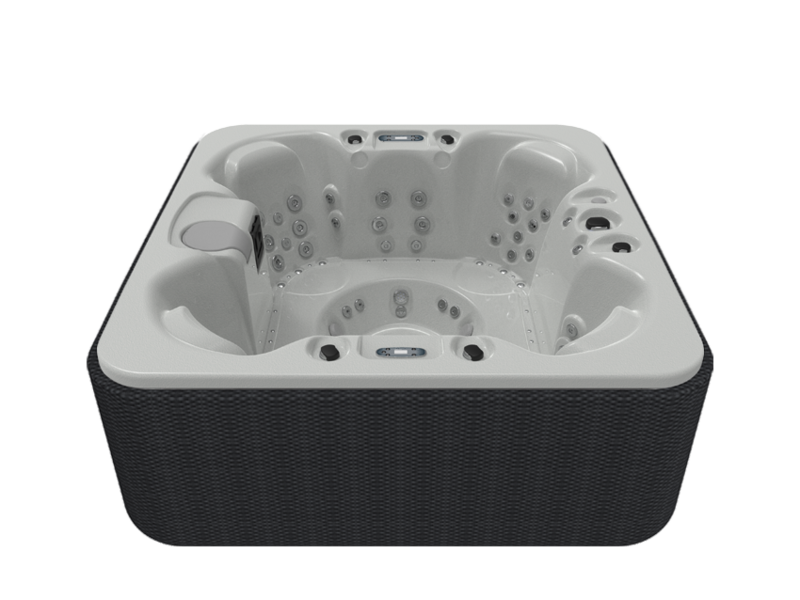 In any case, the Spa Sunset is a great opportunity to have a home thermal wellness circuit with professional features adapted for home use. Hot tub volume of water (litres): 1180 l.